BoxLunch is celebrating the opening of Toy Story Land at Walt Disney World with new merchandise and a nationwide mall tour. Today, BoxLunch has announced a nationwide mall tour, along with exclusive merchandise to celebrate the opening of Toy Story Land in Disney’s Hollywood Studios at Walt Disney World Resort. Opening on June 30, Toy Story Land will immerse guests in the world of Andy’s toy-filled backyard, and feature characters from the Disney/Pixar “Toy Story” films including Woody, Buzz, Jessie and all of their other playtime pals. 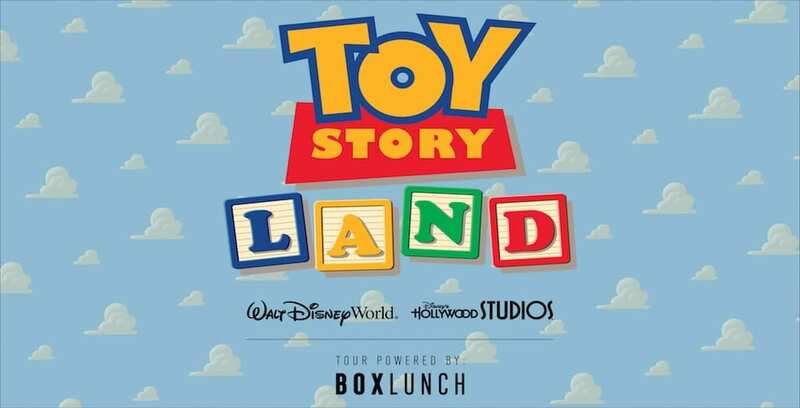 The Toy Story Land Mall Tour powered by BoxLunch begins on May 19 in Southern California, and ends on June 24 in Florida – just in time for the land’s grand opening. The tour will feature interactive photo booths, giveaways and sneak peeks at the Toy Story Land concept art. At select events, special guests will stop by on the tour, including a fan-created, life-size Pizza Planet Truck replica. June 2-3: Chandler Fashion Center (Chandler, Ariz.
June 9-10: Mall of America (Bloomington, Mn. June 16-17: Orland Square (Orland park, Ill. The exclusive trio of shirts you can pick up at BoxLunch. 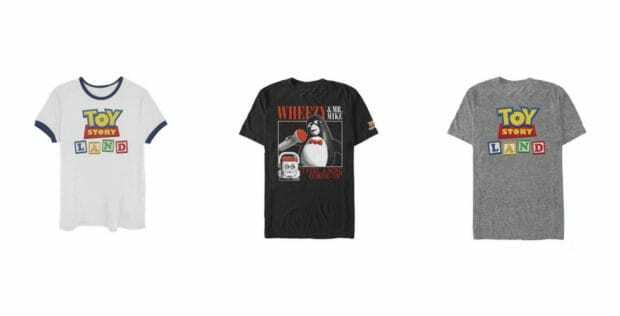 releasing just in time for Toy Story Land’s opening day, including a retro ringer shirt, a heather grey logo tee, and a Wheezy and Mr. Mike graphic tee. Official Disney Park Trading Pin Series: BoxLunch will offer a limited series of Toy Story Land pins, featuring characters like Woody, Buzz, Jessie, Slinky Dog, three Little Green Aliens and Rex the Dinosaur. These designs are authentic official Disney Parks Pin Trading pins. 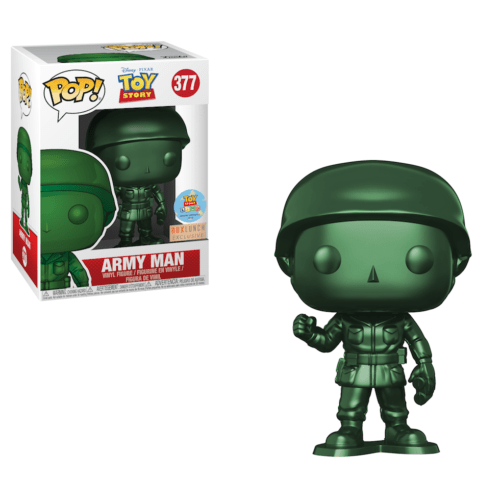 The Toy Story Land Exclusive Green Army Man Funko Pop. Green Army Man Pop returns with a new metallic color way and Toy Story Land branding for a limited release at BoxLunch. This figure will debut at the first Toy Story Land Mall Tour stop in Brea, Calif. on May 19-20, and then release at all BoxLunch stores and online in the following weeks. As an added surprise for Toy Story enthusiasts, BoxLunch is also giving fans a chance to win a five-day, four-night vacation at Walt Disney World Resort to “Play Big” at the all-new Toy Story Land. You can enter the “Play Big” Sweepstakes at BoxLunch.com/playbigsweeps. To learn more about this new Toy Story Land collection, visit BoxLunch.com. I don’t see a link anywhere to the Official Rules for the Play Big sweepstakes. I looked all over the entry page and there is no link to the rules. Can you provide one? Never mind – just found it.